A Bob's Life: Hey, Orioles--What is the Plan? To say this off season is not off to a great start for the Orioles is an understatement. This week the Orioles, American League East Division Champions, lost two key players: Nelson Cruz and Nick Markakis. In my opinion the loss of Markakis, a long-time Orioles player hurt the most. I expected him back in the outfield next season and until the end of his awesome career. Sadly, it is not to be. I don't understand the baseball offseason. Obvious things don't happen and now the Orioles have a huge hole in right field and as a lead-off hitter. Last season was a fantastic and almost magical season as the Orioles easily won the division and the first round of the playoffs. They ran into a Royals team in the second round that was not to be denied, but still the Orioles are still champions of the AL East. Markakis has been arguably one of the best American League left fielders for a number of years now. 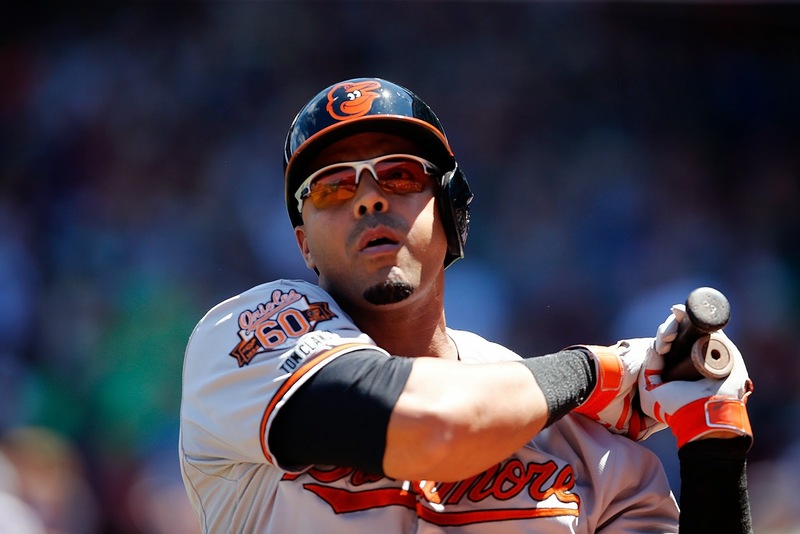 Cruz came to the Orioles to prove he was still a player to be reckoned with. Together, they held the team together during the crucial losses of Matt Wieters, Manny Machado, and Chris Davis. I thought the Orioles might lose Cruz, but never in my wildest dream did I believe that they would allow Markakis to play right field for any other team. It makes no sense to me. And the loss of Andrew Miller--the fireball throwing reliever picked up in mid-season is expected to be announced any day now. I am not seeing the Orioles replacing these three players. But I am willing to show support to the General Manager, Dan Duquette, all I need now is some insight into "What is the plan?" I surely hope they have one. In the meantime, thanks Nelson for last year and thank-you Nick for being a classy Orioles player through the bad times (and there were a lot of them) and the good times. Best wishes to you both!